Bogan meaning: Historian links origins to Melbourne private school. 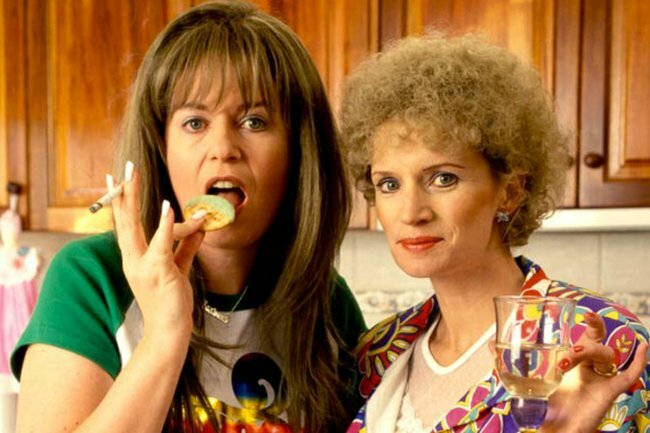 Move over Kath and Kim, the term 'bogan' was created by a Melbourne school in the 80s. Bogan is the most significant word to be created in Australian English in the past 40 years. It is defined as “an uncultured and unsophisticated person; a boorish and uncouth person” in the 2016 edition of the Australian National Dictionary. Ever relevant, the word has made the news in recent weeks with Will Connolly, the teenager who egged Senator Fraser Anning, posting a video online warning that if you egg politicians, “you get tackled by 30 bogans at the same time”. The type of Australian the term refers to has been the subject of books, television shows, and heated debate. The noun has generated many derivatives and compounds: bogan chick, boganhood, boganic, boganism, boganity, boganland, boganness. 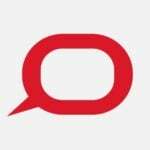 Not since “ocker” appeared in the late 1960s as a reference to an uncultured and uncouth Australian male has there been such a productive Australian word. We have still not established its etymology. Some have argued the term “bogan” may derive from the Bogan River and district in western New South Wales. But there is no evidence whatsoever that could link our uncouth bogan with this area. Nor is there convincing evidence that Henry Lawson’s story The Blindness of One-Eyed Bogan gave rise to the word. This fictional male “doll” has rat tails and tattoos, wears an “Iron Maiden T-shirt or a sleeveless denim vest”, is adorned with studs or earrings “in the style of a Roman cross”, and has “a miniature pack of ‘Winny Blues’ […] to shove up the sleeve of his Eastcoast top”. If there is a car to go with the doll, we are told, it will be “a black panel van […] [with] heavily modified engine”, and if the doll has a “female companion” she will come “complete with skin-tight jeans, ‘Eastcoast’ top and black moccasins”. The bogan doll comes armed with nunchakus (“nunnies”) and flick knife. It has a special button which, when pressed, allows the bogan doll to say: “Oi you, come over here I wanna smash ya bloody face” or “oi, did youse look at my bird? I’ll get me nummies onto yer”. An illustration of the bogan doll is also provided. It looked like the kind of place you might find Bogans hanging about, the kind of place you could get bashed up. […] Sure enough, in the yard of a house across the street, I saw a gang of Bogans in tight jeans and long checked shirts, mucking about with a big fancy car, vintage model, complete with brass lamps and running-board. I felt sure they’d ripped it off: for one thing, they were taking off the number plates. So by the mid 1980s Melbourne had established the term bogan. It was absolutely synonymous with westie (used to describe someone from the western suburbs of Sydney), the bevan (a Queensland term), the booner ( a term from Canberra, sometimes abbreviated to boon – probably a shortening of the American boondocks, meaning “rough or isolated country”), and the chigga (a person from the working-class suburb of Chigwell in Hobart). At this time a slightly variant meaning of bogan appeared, which also began as a Melbourne term. It was used in teenage slang for someone who was regarded as a bit of a dag, a sense popularised by the fictitious schoolgirl “Kylie Mole” from the television show The Comedy Company (which ran from 1988 to 1990). Kylie Mole was played by the Melbourne-based actor Mary-Anne Fahey, and it seems possible that Fahey picked up this meaning from teenagers of the kind at work in the Xavier College magazine, giving a specialised “spin” to the general term of abuse. The nerdish bogan was not long lived, however, and it was soon overpowered by the hooligan bogan. Unlike the other regional terms for “hooligan”, bogan soon spread Australia-wide. The evidence in the dictionary shows that by 1987 it was used at the Australian Defence Force Academy in Canberra (it is included in B. Cowham’s 1987 glossary Legolingo: the Cadets’ Language). Perhaps it was brought there by students from Melbourne. By the beginning of the 1990s it was everywhere. In the journeyings of bogan there have been some slight changes in meaning. One important shift is the fact that it is no longer necessary for the bogan to belong to “a low socio-economic or poorly-educated background”. The creation of the acronym CUB (“cashed-up bogan”) in the early 2000s was a sign that the original sense was shifting. Of course, a bogan can still come from such a background, as evidenced by the characters profiled in Paul Fenech’s 2017 book The Bogan Bible. The major criteria for boganhood are: a lack of culture and sophistication; boorishness and uncouthness and vulgarity. But being a Melburnian is no longer a requirement.